Reshipping fraud can both cost you a lot of money and involve you in an international fencing operation that could land you in hot water! Reshipping packages has become the latest in a long list of home business scams. The scam works when people are promised considerable sums of money for receiving, repackaging and then mailing merchandise that was originally ordered online and sent to a foreign address. Unknown to the person who agrees to this process is that the items in the boxes were purchased using stolen credit cards. Unwittingly the person working out of their home to reship these packages has become an integral part of a merchandise fencing outfit. Records show this con has cost over hundreds of thousands of dollars to victims. However, the ads looking for people to do this reshipping from home continue and people continue to answer them, ignorant of the fraud they’re helping to perpetuate. Reshipping job opportunities appear everywhere. Some ads are placed in newspapers and you can even find listings on Monster.com as well as other well-known job placement websites. When you answer the ad you will be asked to send the reshipping employer your personal information which will need to include your social security number and date of birth. 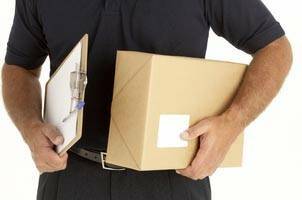 After the employer is sent the required personal information packages will start arriving at your home with instructions on how to repackage and then send the merchandise to specified addresses abroad. When your payment for repackaging the merchandise arrives it will be in the form of a third party cashier’s check which should raise flags since the normal way of doing business is to send a paycheck. These cashier’s checks will usually be for more than the amount initially agreed upon and the employer will request that once you have cashed them, please send the overpay back to them electronically to their overseas bank account. Once you have completed this transaction you have a big problem because before the check clears the bank will realize that the cashier’s check is phony and you will be responsible for the entire amount of that check. To make matters worse, your “employer” also has your personal information and it’s a safe bet that they are going to use it to defraud even more unwitting people who will become “employees” of this reshipping scam. You could be in big trouble with the law as well because all of the merchandise that you so faithfully repackaged and sent abroad was purchased with stolen credit cards. If you see an ad for a home business opportunity that seems extremely easy to do (like repackaging consumer goods) with the promise of easy and high income then you should investigate the business before you become involved with it. Scam artists prey upon people with low incomes and less education with these bogus job opportunities because they know very well how much they need the money. If it’s a person you don’t know or a company you’ve never heard of before, don’t provide them with any of your personal information. Be mistrustful of any opportunity that doesn’t pay a regular salary or engages a foreign company. Perform research on the company by running its name by the Federal Trade Commission, the Better Business Bureau, state Attorney General, or your local consumer protection agency. The U.S. Postal Inspection Service was put in place to investigate and protect consumers against fraud perpetrated through the U.S. Postal Service. As a result, the U.S. Mail is considered one of the safest and most competent methods for Americans to do business. U.S. Postal Inspectors field close to 100,000 mail fraud complaints and arrest approximately 1,500 suspects for mail fraud each year. What do you do with the package if you have recieced one? Are any work from home reshipping positions/ companies legitimate? So I should take the packages to the post office?